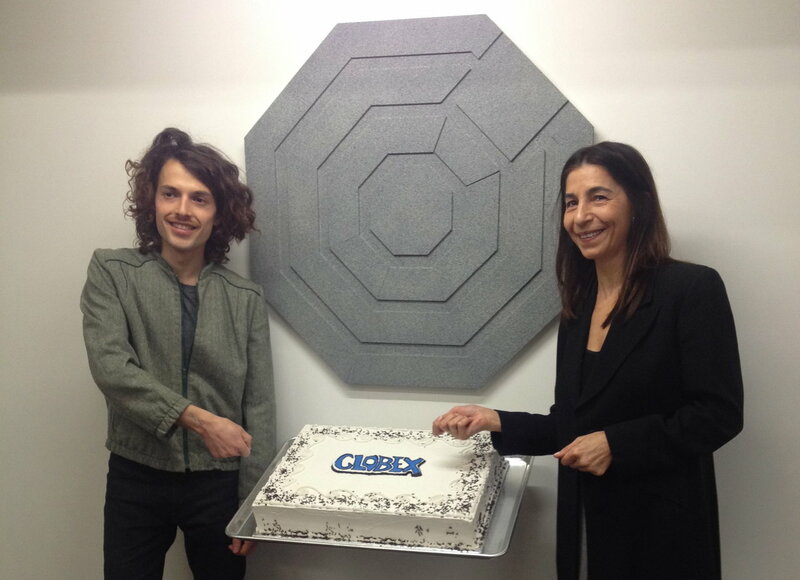 Artist, Felix Kalmenson (left0 with Pari Nadimi Gallery’s director, Pari Nadimi at the Opening Reception of A Year in Revenue, a solo exhibition by Felix Kalmenson at Pari Nadimi Gallery, February 5, 2015. Artworks: Felix Kalmenson, “From the Ground Up”, Lauan plywood underlayment, latex paint and hardware; Felix Kalmenson, “Celebration”, 2015, spackle, styrofoam, baking tray, TV mount and hardware. 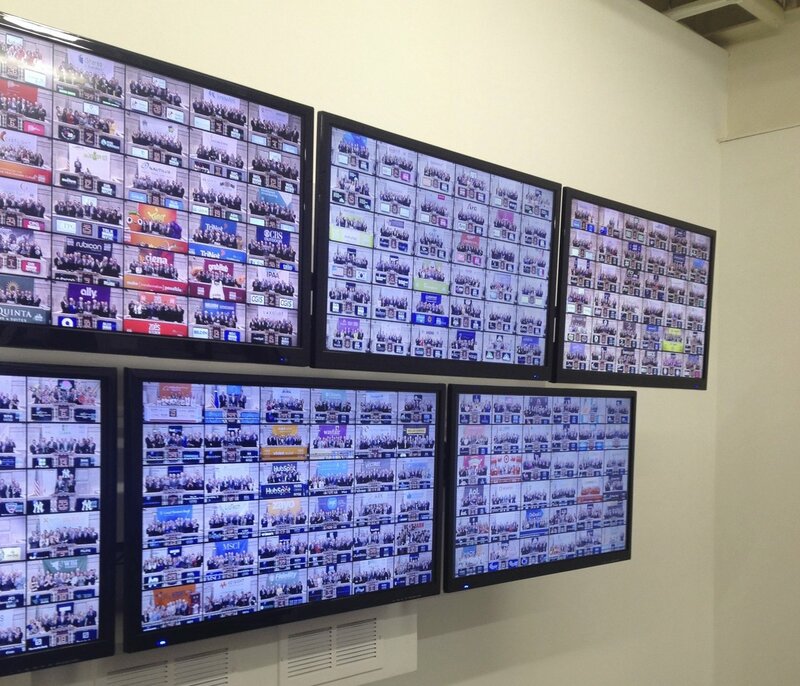 Nadimi Gallery is exhibiting a video installation by artist Felix Kalmenson entitled A Year in Revenue. The title of the exhibition as a play on words sets a tone for the exhibition itself – which dances between light mockery and an investigative view of late capitalist financial structures. These structures have been going through a process of massive restructuring as algorithms have replaced floor traders and the stock exchange, as we have come to know it, is being replaced with a more streamlined technology. 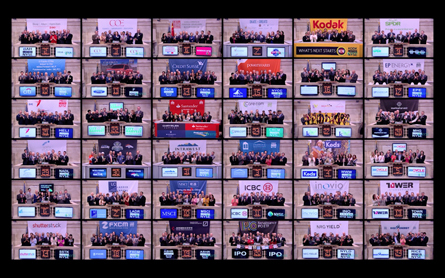 The space is mainly dominated by two walls opposite of one another, each displaying a multi view – approximately 36 video cells per 7 screens – of assorted NYSE companies ringing in the ‘bell’ marking the opening of the stock market floor. Each commencement is organized into a rough chronological order. Four podiums are arranged around the floor space whereby the visitor is encouraged to step up and gain perspective of the video installation and the space itself. Kalmenson points out that the podiums he constructed borrow various architectural elements from the actual podiums found on the stock market floor. By picking and choosing elements from the stock market podiums and adding other elements, such as air vacs, that do not serve a function, he is challenging the financial structure’s power through his physical disassembly. 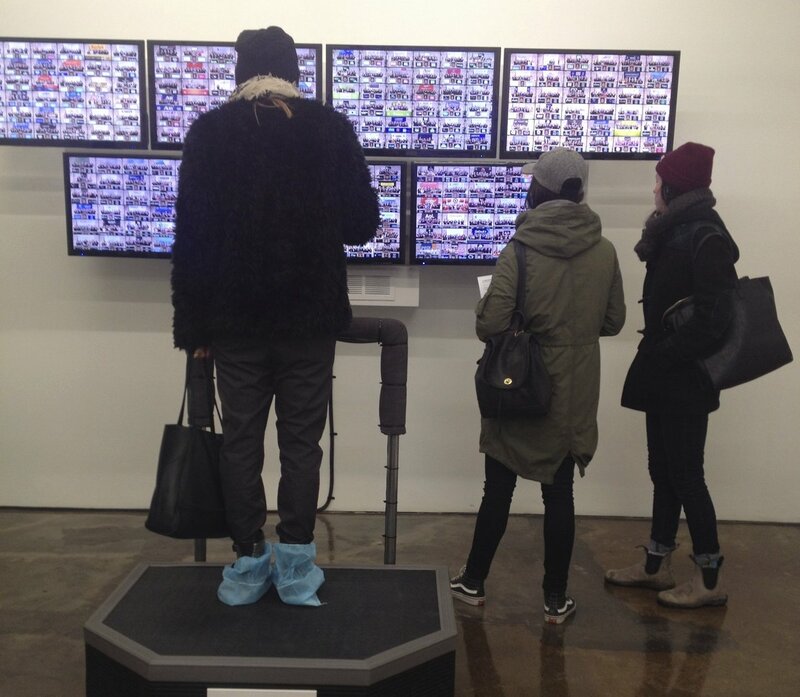 The exhibition space only fully functions with viewer participation. One podium has a tablet propped up on a corner with a livestream of the iconic wall street ‘bull.’ This display is appropriately titled ‘uncaged’ – in reference to the recently removed protective fencing for the Occupy movement. Why this massive steel structure was constructed for the protests, is still a curiosity. As it serves no real practical purpose, you are left to wonder if it is safeguarding an ideology in a futile way. If you listen closely, you can hear the wind howling on Wall street. Felix Kalmenson, “pit sections”, 2015, rubber, wood, air grille, steel, wire, fire retardant fabric, zip ties and hardware. 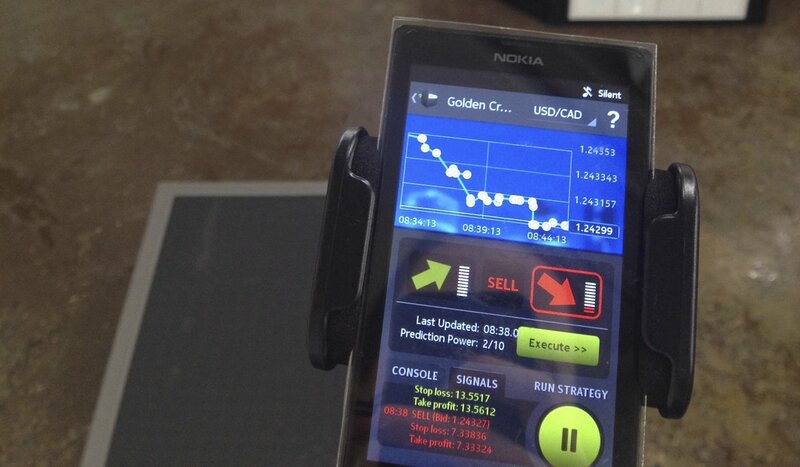 Another one of the four podiums has an algorithmic trading application on a mounted cell phone. The amusing aspect of the space is how inviting it is, considering how specialized and closed this particular financial realm. The podiums beg to be stepped up onto; the tablet and their sleek applications want to be prodded and viewed. The space is like an archeological library for the financial structures of recent past. 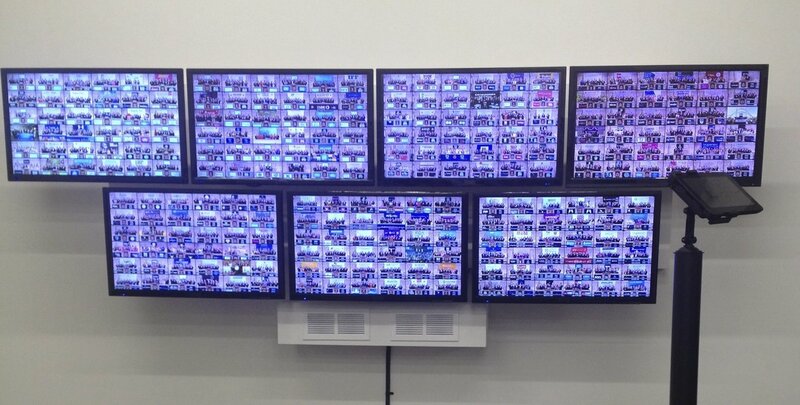 It is an interactive catalogue, a look at a financial market dystopia that has been pulled apart and magnified. It is a market whose built environment is being handed over to a more automated world. The unidentifiable computer ‘buzzing’ that rings through the exhibition space the whole time is still ringing in your ears minutes after leaving. *Exhibition information: February 5 – March 28, 2015, Pari Nadimi Gallery. 254 Niagara Street, Toronto. Gallery hours: Wed – Sat 12 – 5 p.m.